Culled from half a dozen previous CDs, this issue focuses on Nicola Farnon the composer. Her ability as a vocalist and double bass player are well known from the earlier discs, most of them featuring mainly standard songs. Here though we have Nicola singing and playing bass on 13 original tunes where she has composed the music and written the lyrics. And very good they all are too, kicking off with the uptempo “Perfect Lovely Day”, which also benefits from a bright tenor sax solo from Piero Tucci. Nicola sings almost everything with a smile in her voice and this set is a good example of her upbeat, optimistic approach. She is no slouch as a bassist either and can be heard here linking up seamlessly with pianists like David Newton and drummers such as Steve Brown. There is a fine collection of supporting musicians on this download disc, including guitarist Jim Mullen, tenor man Ben Martin and guitarist Chris Walker. Pianist David Newton is featured on four tracks. Ballad fans should check out “Somehow, Someday” where the vocalist offers a warm rendition of her own sad song. Regular Farnon band members are well represented, with Piero Tucci switching to piano and regular drummer Phil Johnson on board. 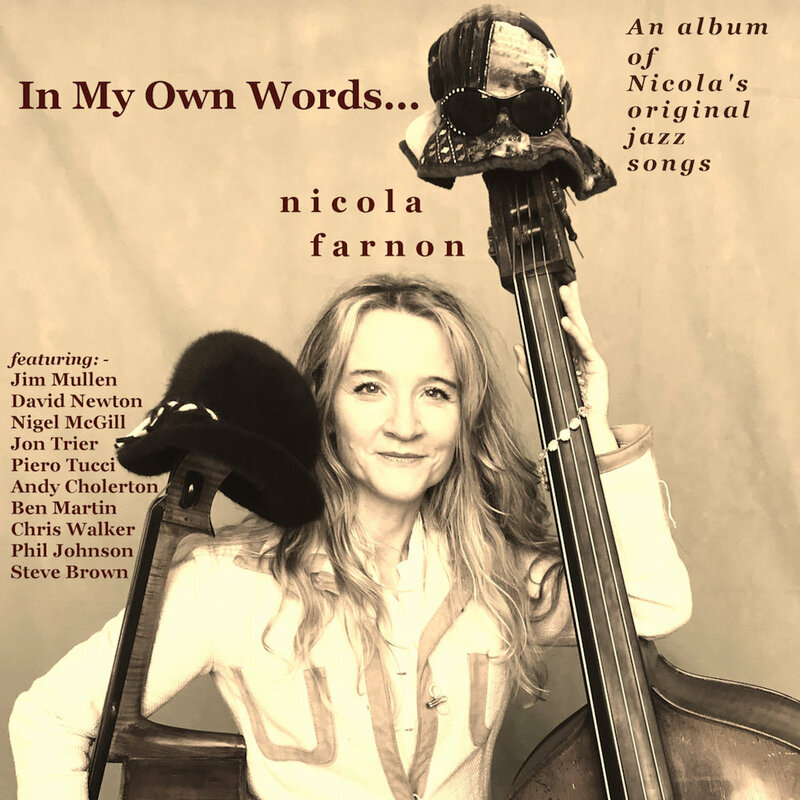 Nicola Farnon is a singer in the classic jazz vocalist tradition, swinging with the band and improvising on the lyrics. As a rhythm section musician she takes to it all like a duck to water and, in this case, even all the lyrics she sings are her own fine work. Farnon (v, b); with various personnel including David Newton (p); Ben Martin (ts); Nigel McGill (f); Piero Tucci (p, ts, acc); Jim Mullen (elg); Steve Brown, Phil Johnson (d). "...a singer in the classic jazz vocalist tradition, swinging with the band and improvising on the lyrics".